…and learn how to craft gripping sales copy that seizes attention and sparks desire. For this Mastery Class, we’ve partnered with AWAI or American Writers & Artists, Inc.
Because, simply put, they’re the best there is. 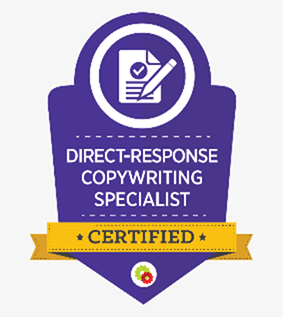 For over 20 years now, AWAI has been the gold standard when it comes to training the world’s top-performing direct response copywriters. As a result, they’ve gained the trust and built partnerships with the best direct marketing firms in the world. 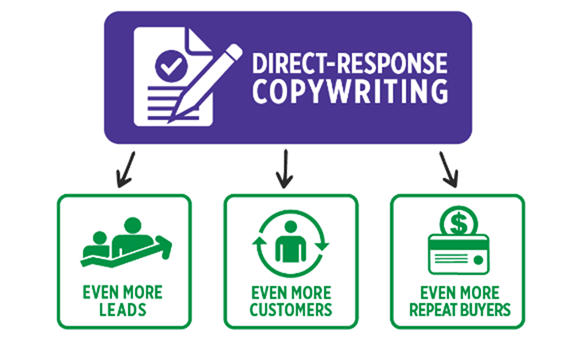 Get time-tested tips to create a stronger sense of urgency in your copywriting…so that your prospects won’t just want to buy, they’ll NEED to buy NOW! In this 5.5-hour course you’ll learn everything you need to know about copywriting. You’ll learn where persuasive messages come from, how to tap into your visitors’ core buying emotions, and how to channel those emotions using powerful selling words! What is Your Copy Really Selling? Pam Foster is the Director of Copywriting Training for AWAI, the world’s leading provider of online and live copywriting training and business-building programs. She’s been a member of AWAI since 2005, and is a frequent speaker at their live training events. She’s also the author of several AWAI online training programs on web copywriting and choosing a niche industry for success… and she won AWAI’s $10K Copywriting Challenge in 2009. Pam is a Certified SEO Copywriter and experienced content-marketing writer, teacher, speaker, and consultant with three decades of experience in marketing communications. Her background includes senior copywriting roles at IDEXX Laboratories (where she wrote more than 1,000 sales promotion campaigns a year), the LL Bean Home Products Division, and the NAVC (North American Veterinary Community) global veterinary association; as well as a freelance writer/blogger for for nearly two decades with clients including Vet Advantage magazine, Today’s Veterinary Business, LifeLearn, the Goddard Schools franchise, and dozens of other B2C and B2B companies.